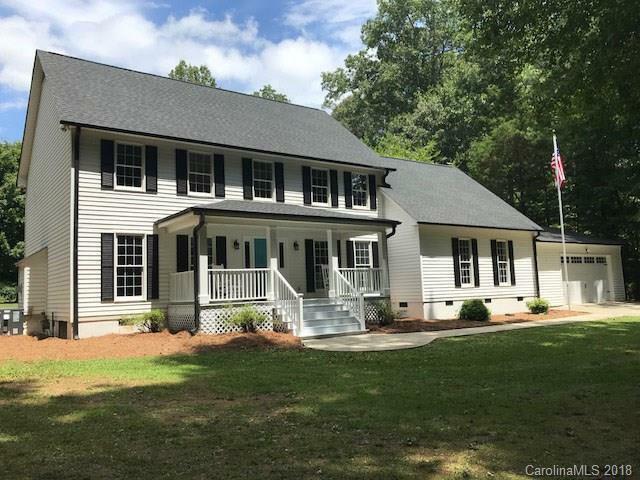 County living 2.8 miles from downtown Davidson! Beautifully renovated home nestled on a private one-acre lot. Main house has 3 BR/2.5 BA with open floor plan, spacious kitchen with gorgeous island, SS appliances, and granite. The seller added newly refinished hardwoods, new carpet, LVP, fresh paint, BRAND NEW HVAC, NEW ROOF, and much more. Separate bonus room. Lovely secluded front yard with open back and plenty of space! Oversized garage. Rocking chair front porch, large deck and patio in back. Attached one BR apartment with full kitchen, living area and full bath could be used for in-law suite, guest apartment, Airbnb or rental unit. No HOA! Low Iredell county taxes. Convenient to I-77. Hurry, this gem won't last long! Sold by Better Homes And Gardens Real Estate Paracle. Offered by The Estates Real Estate Group. Copyright 2019 Carolina Multiple Listing Services. All rights reserved.